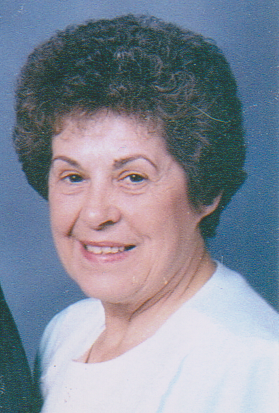 Bonnie L. Mascioni, 79, of 615 W. Washington St. Bradford, passed away Saturday, September 29, 2018, surrounded by her loving family, at The Pavilion at BRMC. Born February 21, 1939 in Degolia, she was a daughter of the late Merle J. and Dorothy W. (Johnson) Ruffner. She was a 1957 graduate of Bradford High School. On May 26, 1967 in Bradford, she married at Ronald A. Mascioni who survives. Bonnie was employed as a bookkeeper and secretary at the Teamsters Local Union 963, and retired from Zippo Manufacturing. Surviving in addition to her husband Ron of 51 years, is one daughter, Suzanne (George) Lipps, two sons, Richard (Patty) Colosimo, and Steven (Tracy) Colosimo, all of Bradford, three brothers, Merle Ruffner Jr., Robert Ruffner, and John Ruffner, nine grandchildren, and several nieces and nephews. Bonnie was preceded in death by her parents, one sister Beverly Good, and one brother Richard Ruffner. There will be no public services observed. Private services will be held for family. Burial will be in Willow Dale Cemetery. Memorial contributions, if desired, may be made to American Cancer Society 2115 West 38th St. Erie, PA 16508 or American Heart Association 823 Filmore Ave. Erie, PA 16505. Ron and family. Ken and I wish to extend our condolences for your loss. Bonnie was a sweet sweet lady and will be missed. OUR DEEPEST SYMPATHIES TO FAMILY AND FRIENDS. WE PRAY THAT YOUR FAMILY WILL FIND PEACE IN KNOWING BONNIE IS WITH OUR SAVIOR. GOD BLESS. THE FAMILY OF LARRY AND SANDY VECELLIO, SUWANEE, GA.
Ron and famly: Our deepest sympathy.